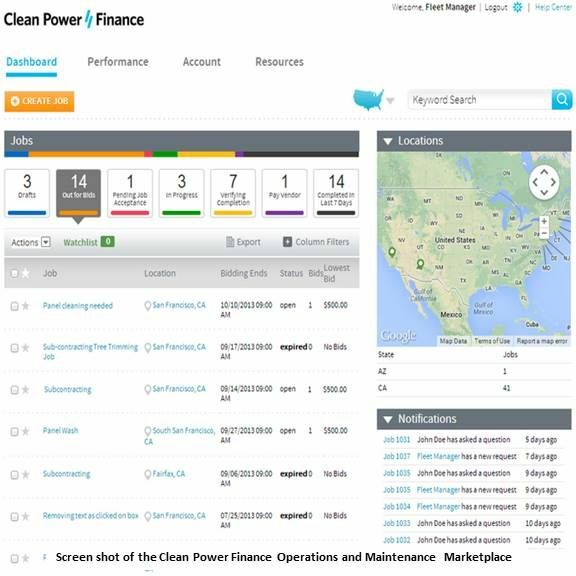 In a big step toward making solar safer for investors, Clean Power Finance is starting an online operations and maintenance (O&M) service. Clean Power Finance (CPF) expects its new, online O&M Marketplace to make solar maintenance and repair service more certain. This in turn should make the banks and institutions that work through fund managers like CPF more confident the rooftop solar systems will perform as expected. The result, CPF CEO Nat Kreamer believes, will be more investment and new and different financial vehicles for solar. “Lack of ongoing O&M services is a major perceived risk that currently hinders DG solar investment,” Kreamer said. 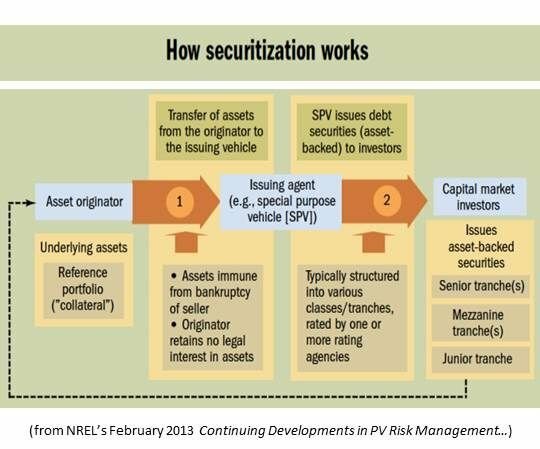 Lower perceived risk means more investment and lower-cost financing, and will “pave the way for securitization,” in Kreamer's view. Kreamer referenced a 2012 Standard & Poor’s report describing uncertainty around O&M services as one of the three categories of risk preventing the marketplace from welcoming securitization of solar assets, along with limited performance data and declining panel prices. 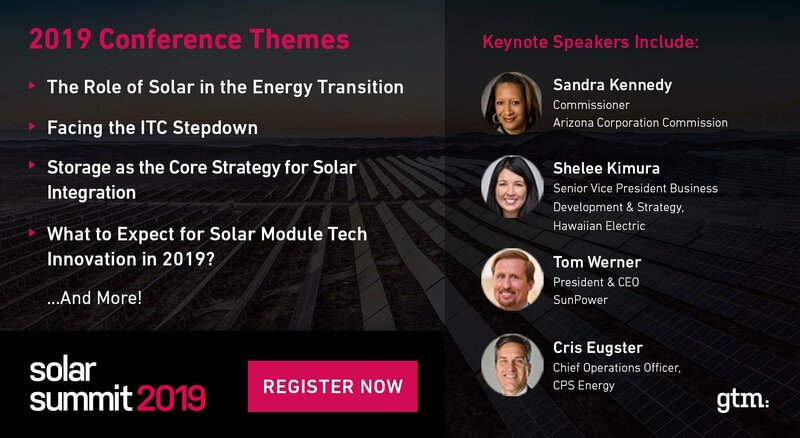 The third-party ownership (TPO) business model developed by Sunrun and used by residential solar industry leaders such as CPF, SolarCity (SCTY), NRG Energy, Sungevity, SunEdison (SUNE), and SunPower (SPWR) has driven a boom in distributed solar growth over the last two years. It makes residential and commercial-industrial rooftop solar available will little or no upfront cost and no maintenance burden. GTM sources report that CPF does about 750 deals per month and has done 10,000 deals in total. 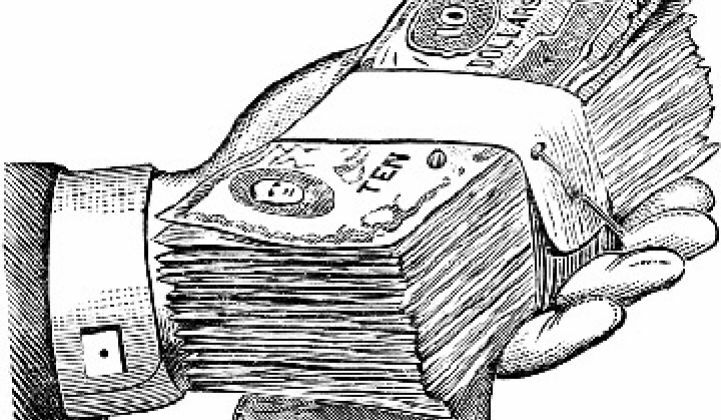 Some TPO fund managers, like SolarCity, maintain their own staff of installer-O&M providers. Others, like CPF, rely on relationships with the system installers to make sure that a system’s promised output -- upon which the financing deal hinges -- is maintained. CPF qualifies installers and allows them to connect with qualified solar industry hardware and service providers. It also obtains large funds from banks and other investment institutions seeking to provide financing for and become third-party owners. For that, CPF acts as broker and fund manager, on a straight-fee basis. CPF takes responsibility on behalf of the third-party owner for the system’s operations and maintenance. “The CPF O&M Marketplace will qualify O&M providers in a similar way that it qualifies installers,” explained CPF Field Operations VP Greg Sellers. The Field Operations team checks all aspects of system performance daily. If it is necessary to do maintenance, it sends out a technician. The first choice for the job is the original installer, but that isn’t always possible. CPF will post O&M jobs, its own and those of the other platform participants, and allow the qualified providers to take them on. This arrangement is expected to alleviate the sense of risk described in the S&P report, according to Sellers. In the future, Sellers added, the O&M marketplace could be made available through the CPF platform to non-CPF-funded residential solar system owners. It could also, as the industry continues to grow, in other ways be opened to the broader solar industry, Sellers added. The O&M platform was built with a 2012 U.S. Department of Energy SunShot grant. It has completed beta testing in the last few months, Sellers said, and is now beta-launching with a limited number of providers in a narrow geographic range.